A beautiful burgundy-leafed plant with outstanding medium dark red florets. Comments: Outstanding scarlet colored flowers and burgundy foliage add strong accent in the garden. A smaller grower than common cannas and can fit into spaces too small for larger growing kinds. Leaf-tiers a problem with all cannas. 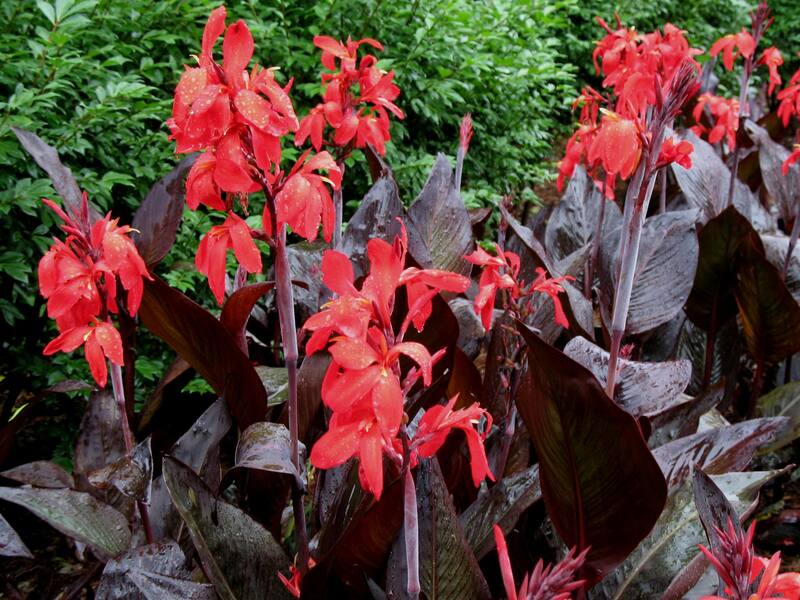 Select a site with well drained soil and full sunlight if possible for cannas.